After a five-month trial, a jury has decided on Wednesday (October 2) that concert promoting company A.E.G. Live is not responsible for Michael Jackson's death in 2009, as the pop star's mother, Katherine, claimed. Jackson's mother had argued Dr. Conrad Murray, the doctor who gave her son the lethal dose of anesthetic propofol, was unfit for his work and that A.E.G. Live hired him, downplaying his health concerns and pushing him to work harder. The New York Times reported that Mrs. Jackson was seeking $1.5 billion in damages, but since the jury did not agree that Murray was unfit, the company, the second-largest in its industry, is not liable. The doctor is currently serving time in jail after he was convicted of involuntary manslaughter two years ago. Mrs. Jackson, 83, had argued that A.E.G. worked him down to his death, all in an effort to make money through his series of "This is It" comeback shows in the O2 Arena in London. Evidence from the 80 days of testimony included naked photos of Jackson's corpse on the autopsy table, showing him as frail and weak, and emails from A.E.G. depicting him as a "freak." Choreographer Alif Sankey testified that she begged the show director to intervene in his last days. "I kept saying that 'Michael is dying, he's dying, he's leaving us, he needs to be put in a hospital,' " Sankey said. " 'Please do something. Please, please.' "
The company had a different story, claiming Jackson would take any drug to help him sleep and they didn't know what Murray was administering to him. "A.E.G. 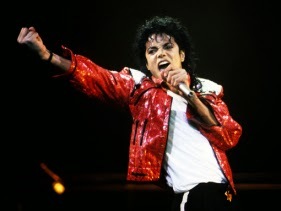 Live never would have agreed to finance this tour if it knew Michael Jackson was playing Russian roulette every night in his bedroom," said Marvin S. Putnam, A.E.G. Live's lawyer, in his closing statement. Michael Jackson would have turned 55 in August.